Jane Bracelet Black Shantung from Lizzie Fortunato. 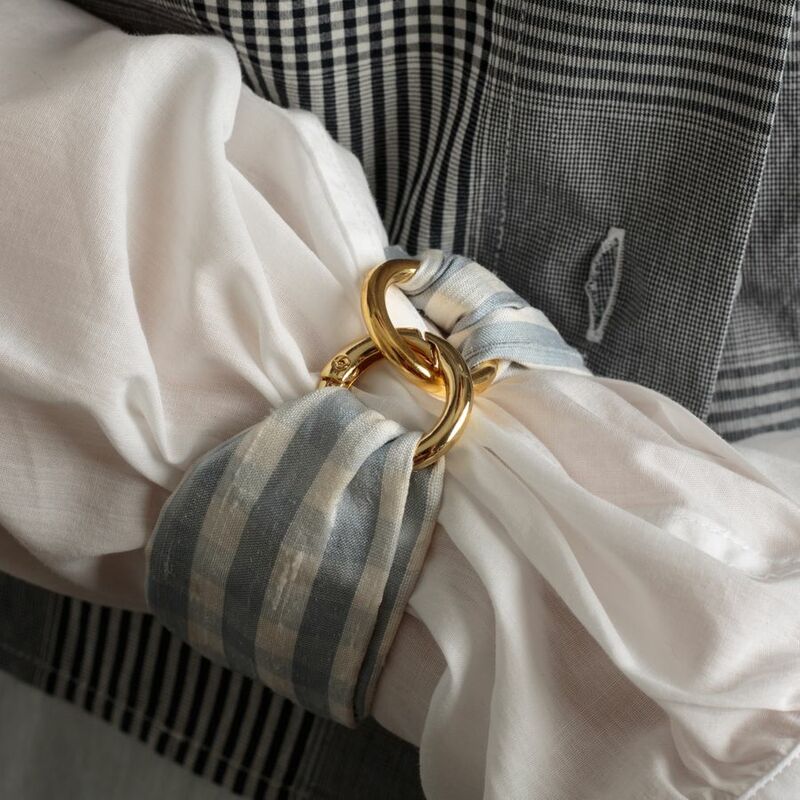 Gingham two-tone silk shantung fabric bracelet with gold-plated brass cinch and clasp. Measures 20 cm long and 4 cm on widest point.